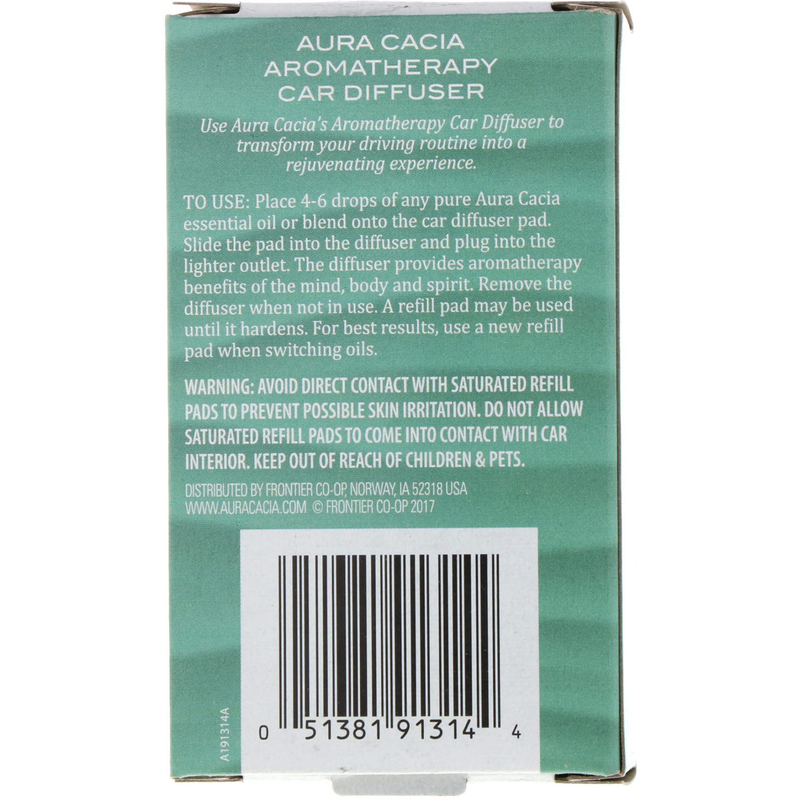 To Use: Place 4-6 drops of any pure Aura Cacia essential oil or blend onto the diffuser pad. Slide the pad into the diffuser and plug unto the lighter outlet. The diffuser provides aromatherapy benefits of the mind, body and spirit. Remove the diffuser when not in use. A refill pad may be used until it hardens. For best results, use a new refill pad when switching oils. Peppermint provides a refreshing aroma that awakens the senses. Supplement its invigorating nature with the delight aroma of grapefruit. Diffuse this blend during long trips. Just add the drops to the refill pad. Eucalyptus is clearing and exhilarating. Bergamot adds a spicy-sweet citrus nuance. 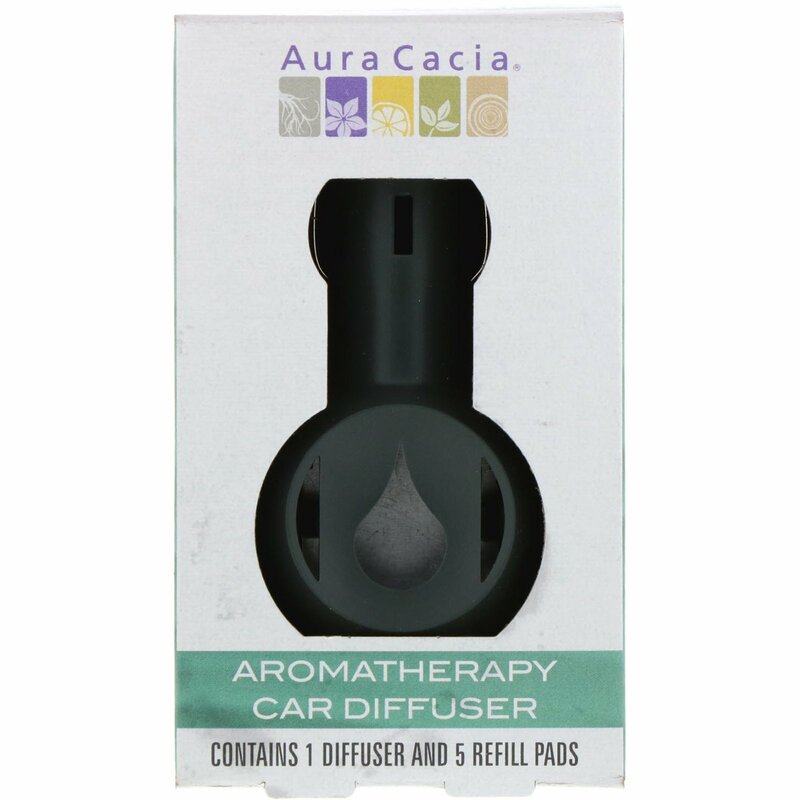 Diffuse this fresh blend when stuck in slow-moving commuter traffic or in crowded city driving. Just add the drops to the refill pad. Avoid direct contact with saturated refill pads to prevent possible skin irritation. Do not allow saturated refill pads to come into contact with care interior. Keep out of reach of children & pets.